I started early as it was my Father-in-law's 82nd birthday which we celebrated in the evening. 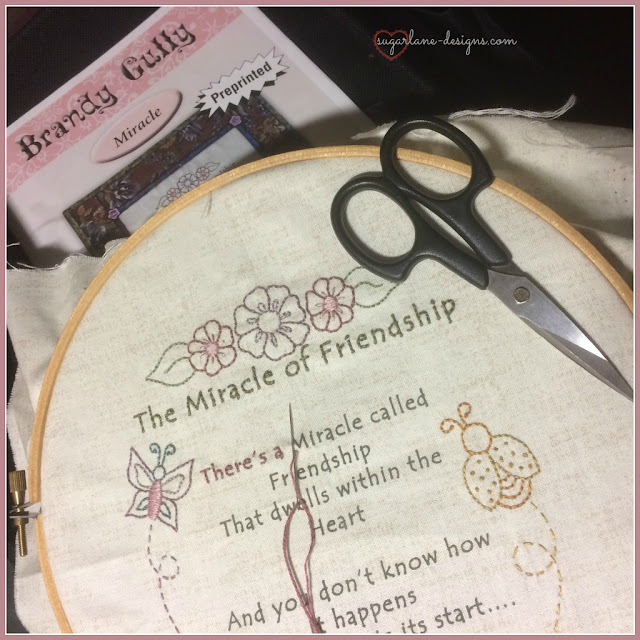 I just love Nikki's Brandy Gully stitcheries! I'm thinking I should unpick the poem text as two strands is just too thick and one strand won't cover the print so maybe I should just leave it...what do you think? Thanks again Chez for a wonderful day.....see what the other girls were up to HERE. HI Wendy, great birthday cake for your FIL!! Hope you all had a good time :-) It looks like you had a productive time with your stitching..... I did a Brandy Gully poem once and used 1 thread for the script....it didn't show but i did use a black thread, the same colour as the print itself. Friends of mine who had made the same one didn't stitch theirs and they looked great! mmm tough decision - I would possibly leave it - very tiny sewing otherwise...but I would go with 1 thread and a similar colour if I stitched it. 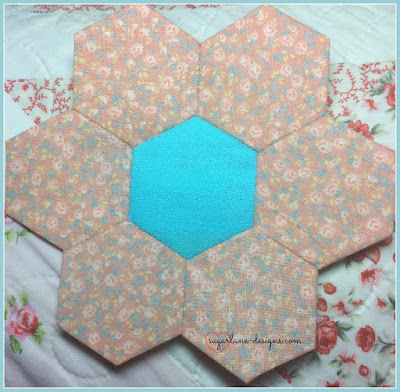 Cute hexie and I like two strands for your gorgeous stitchery. Perfect birthday cake! Happy birthday to him! Leave the two strands. It looks fine to me! 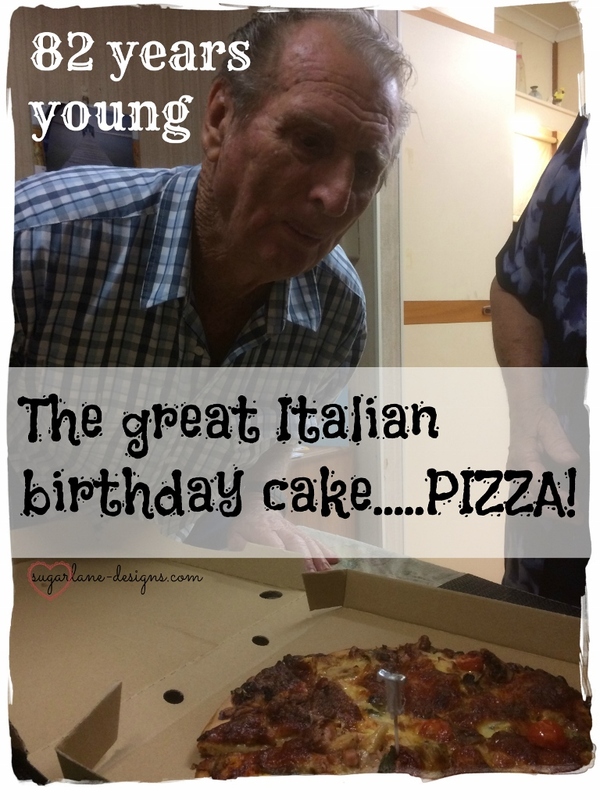 Pizza for cake - what a great idea! I think your stitching looks fine. But I'm no expert. Lovely stitchery pattern. 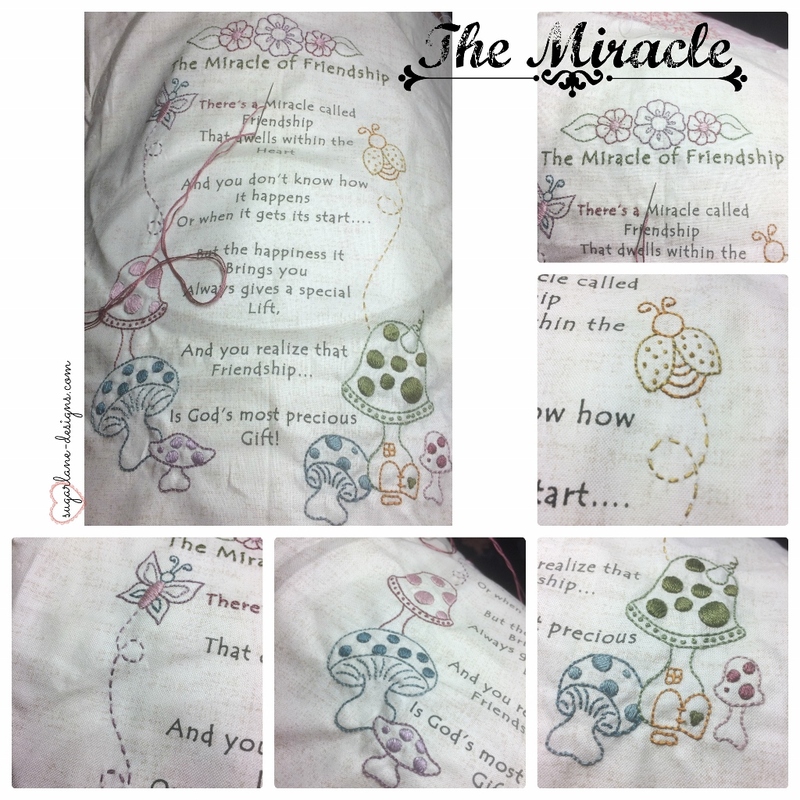 I started to stitch the Quilters poem. I didn't like the look of the text so I threw it in the cupboard. Interested to see what you decide.